Spinal stenosis from arthritis is one of the most common types of central canal narrowing and is actually a completely normal and expected part of getting older. The osteoarthritic processes work on virtually all the major joints of the body, including those contained in the spinal anatomy. Therefore, it is no surprise that patients past middle age will have some degree of spinal arthritis, most probably in their cervical and/or lumbar regions, and many will also experience mild to moderate spinal stenosis. Of course, it is also possible to experience neuroforaminal stenosis due to spinal osteoarthritis and in some cases, this may even lead to a pinched nerve condition. 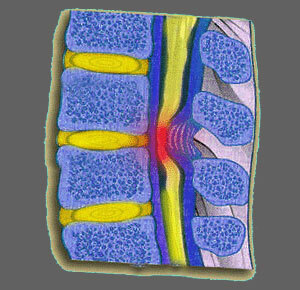 This treatise explores how spinal stenosis is directly related to osteoarthritic processes in the vertebral anatomy. Central canal narrowing can occur from arthritic change in many areas of the spine. It is normal for these degenerative processes to act on the spinal joints, causing the growth of osteophytes, also called bone spurs. Bone on bone contact can also cause arthritic debris to build up within the central canal. Both of these factors will cause narrowing of the central canal and are most often found in the mid to lower cervical and low lumbar spinal areas. In cases where the patient demonstrates a congenitally narrowed spinal canal, these changes may elicit symptoms quicker than in typical anatomies. Just remember, that arthritic change is normal and most minor to moderate osteoarthritic buildups will not cause symptomatic spinal stenosis. Severe and extreme arthritic processes are, of course, another story entirely. Foraminal narrowing can also come about due to arthritic change at or near the neuroforamen. Luckily, the space through which the nerves must exit the spinal canal is quite large and has plenty of room to allow easy egress, despite mild to moderate arthritic change at a given vertebral level. Severe and extreme foraminal stenosis will of course have a far better chance of enacting symptoms and may even lead to nerve impingement or compression. True cases of arthritic-induced pinched nerves are rare, but are also almost impossible to treat effectively without invasive foraminal stenosis surgery. 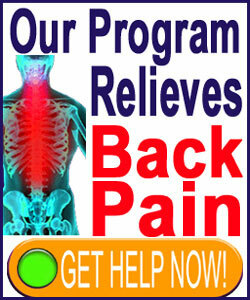 Arthritis in the spine is one of the great inevitabilities of life as we age. Being shocked at a diagnosis of spinal arthritis certainly demonstrates a degree of naiveté. Remember that you have it, or will, and so does everyone else as we get older, including your doctor. Mild and moderate arthritic changes will not be the source of stenosis symptoms or worry in the vast majority of people. Only truly severe and concentrated arthritis will likely source spinal stenosis pain. However, when combined with other usual processes, such as degenerative disc disease or herniated discs at the same vertebral levels, normal arthritic change can help contribute to the creation of pain and neurological symptoms almost anywhere in the body.